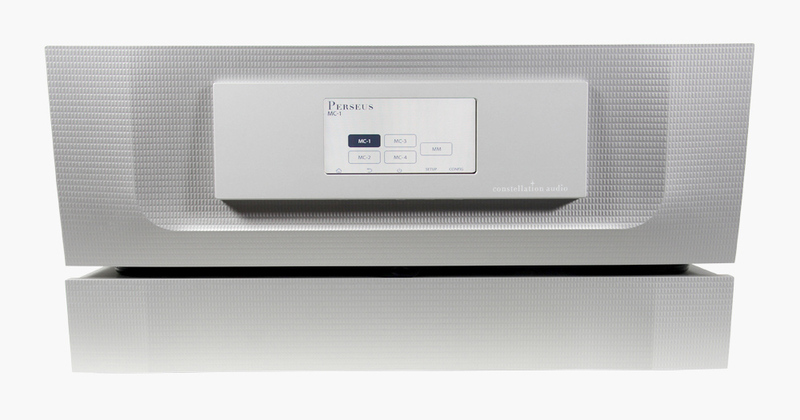 When it came time to create the Perseus phono preamp, Constellation Audio couldn’t bear to depart from their original “dream team” concept. They already had the industrial design prowess of Alex Rasmussen at Neal Feay Company, and the engineering and manufacturing mastery of Peter Madnick. 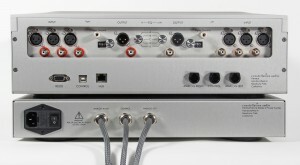 All that was needed was to add the world’s most revered phono preamp designer: John Curl. Curl is revered by audiophiles as the world’s greatest designer of phono preamps, having designed acclaimed phono pres for CTC, Mark Levinson, Parasound, SOTA, and Vendetta Research. In Perseus, his circuits receive greater care and more elaborate execution than any other manufacturer has ever offered. The Perseus can be tuned to optimize its performance for even the most exotic phono cartridges. Front-panel controls allow adjustment of source impedance and load capacitance for the ideal performance from any cartridge you choose. Impedance is continuously adjustable from 0 to 1000 ohms for moving-coil cartridges. For moving-magnet cartridges, the Perseus provides four impedance selections from 33 to 100 kilohms as well as five load capacitance options from 200 to 400 picofarads. Whether you decide to follow the cartridge manufacturer’s recommendations or explore your own course, the Perseus has the versatility to get the best possible sound from your cartridge.